Having gone through all of the work of establishing your e-commerce business online, you will probably be eager to see the results. Your store is up and running, and all you want to see is sales being completed. However, this is not as simple. Setting up an online store is the first part, but getting the first sales is another segment of the e-commerce business you will have to work on. Again, it is very useful to have a plan, a sort of a strategy on how you are going to promote your business to the online users. There are slim chances of online customers finding you on their own if you are only starting out. Your website will probably need some time to become indexed by the search engines, and you will probably struggle to get visits at first, let alone to realize actual sales. At this point, you will probably start wondering how to make the first sale. What can you do to improve chances of starting to sell in your store? Well, it might be a while before you see the first sale, but instead of waiting for this to happen on its own, there are online media and tools you can use to increase the reach of the products and ultimately increase the chances of selling. The following set of strategies will help you get through this first phase and make the first sale. This network is such a powerful tool for promoting a business. Regarding promoting your business, there are four options to help you make the first sale. Although you will not use this option as much later on, in the first few months of starting a business, you could think about sharing your products on your own Facebook profile. This means that this post can be seen by your Facebook friends, as well as by your followers if the post is public. Obviously, your target group goes beyond your Facebook friends, but it is a good way to start spreading the word about your business. Facebook groups are places for people of the same interests to hang out, exchange experience and share stories. 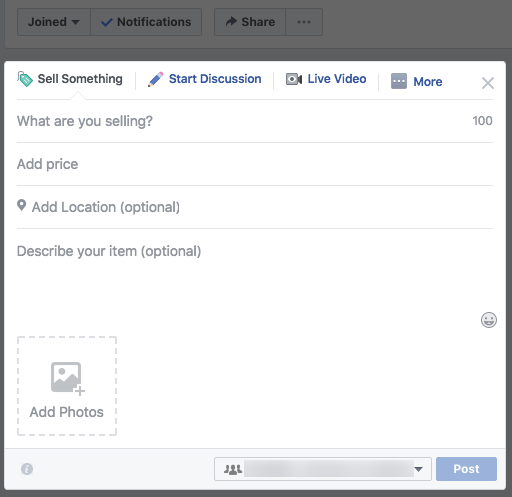 Some groups also support selling feature, which you will quickly spot if you see the “Sell Something” option at the top. You have to be very careful to follow the rules of the group when sharing the links of your products. Of course, you do not want to share too frequently and risk being marked as a spammer. In general, this option is a good way to reach people of the same interests, and it can help you with increasing the reach of your products. When you create a business, you should create a Facebook page as well. A page is your official presentation on this social network. The page should have photos, website address, contact information and other information about your business such as product information, hours, etc. You will then try to attract followers and start being active on the page by posting updates regularly. Even though having a Facebook page is recommended for all the businesses, to start getting conversion and sales from the page will probably take you some time. The page will start with zero followers, but you will slowly build your following through all sorts of interaction, viral posts, collaborations, recommendations, or ultimately paid advertising. The final option you have when starting promotion of your business on Facebook is paid ads. You will need to have a Facebook profile, which you will use to access Facebook Ads Manager. You will start creating a campaign, through which you can achieve different goals such as brand awareness, increasing traffic, generating store visits, etc. Following the instructions in the manager, you will go through a set of options to customize your campaign by choosing ad format, budget and schedule, placements, audience, etc. You will have full control over the budget. You will also use targeting options to choose the audience for your ads which is how you make sure that your ad is shown to the people who are generally interested in what you are selling. When starting out, this option can be very helpful. With a Facebook page, you need to wait for people to like your page through organic reach, while your ads will instantly be served to the target group as soon as the campaign goes live. Here is another network that can help with promoting your business and spreading the news about your products. Start by setting up an account for your business. On Twitter, there is no distinction between a profile and a page, but instead, you have an account. You can have your private account, and then you can have an account of the business you manage. For the account of your business, you will need a profile photo which is preferably the one used in other profile as well, to help with recognizing your brand and promoting logo. You will also need a bio where you can share your mission, type of business you run or location. Just remember to keep it short, since there is that 140-character limit. You should also add a cover photo and the website URL. You start the interaction on Twitter by tweeting the status updates to your followers. Have in mind that following someone on Twitter does not establish a mutual connection. When you start following an account, you can see their updates, but they cannot see yours until they follow you back. In terms of posting status updates, try to be active regularly and offer great content. Do not make it all about sales. Instead, try sharing some useful content, practical information, problem-solving articles or videos, etc. This will make your audience appreciate your content more, and it will help you build trust. Once your first sale is realized, Twitter is a great place to interact with the customers and ask them for a feedback about the product, about the purchase, etc. Not only is this going to help with improving the business-to-customer relationship, but it will also be a great promotion for your business because other potential customers will see your professional relationship and positive feedback others shared about their purchase. 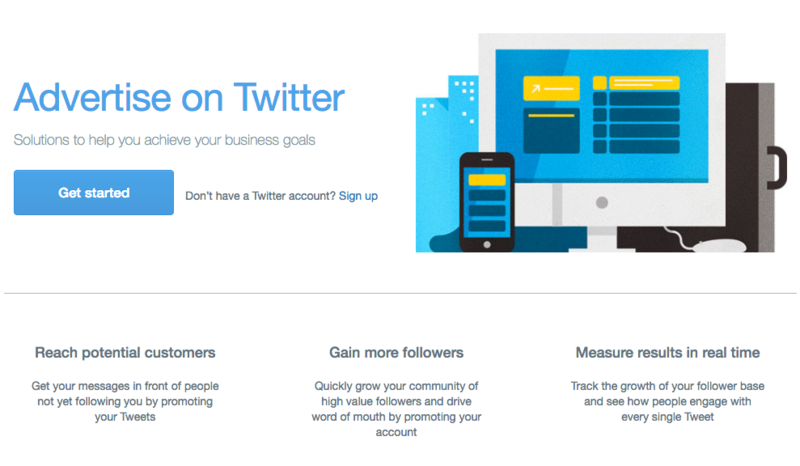 Additionally, you can use Twitter ads as an extra option to reach more people with your tweets. 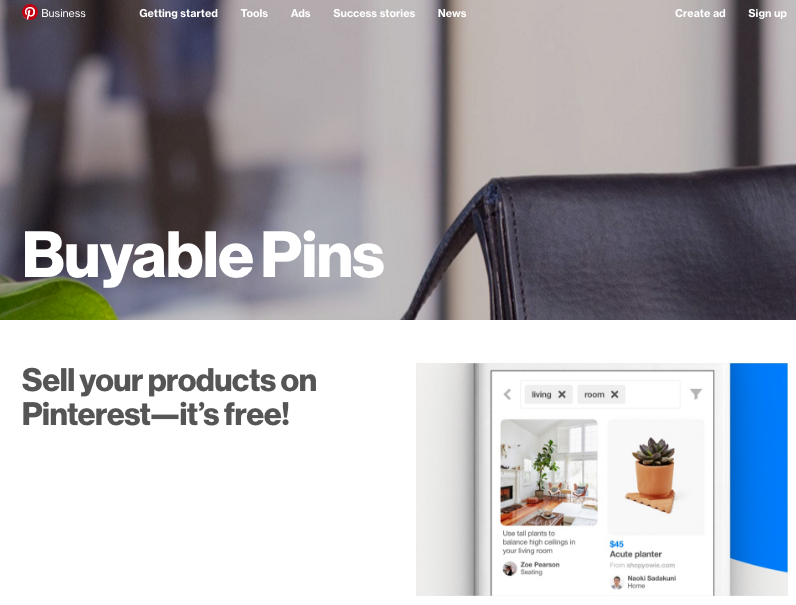 Pinterest slowly grew from a social network to a powerful tool for online store owners. The platform is primarily focused on visual content, which is why you will need lots of inspirational and creative images to promote your products on Pinterest. It is recommended to have your personal account created on Pinterest, but you should create a business account as well. This way you can take advantage of both. Through your personal account, you can have a more personal relationship with online users and share occasional updates, while you will use the power of the business account to actively work on your online promotion through this network. People use Pinterest to discover content, to share projects and save ideas. These ideas are organized in boards which are created as a single topic with resources shared as pins. Start by sharing amazing images and high-quality content. Interact with other users by sharing comments, liking pins, etc. A very helpful option with spreading the word on Pinterest is to have the “Pin it” button on your website. In terms of paid promotion, the network offers Buyable Pins where users can see product information and buy directly without leaving the app, or Promoted Pins, pins that are more likely to be seen as Pinterest users than regular pins. As a content format, video is slowly taking over. It has become a number one format to use in content marketing and some even go as far as to say that video represents the future of marketing. When it comes to sales, studies show that “after watching a video, 64% of users are more likely to buy a product online” (Source). 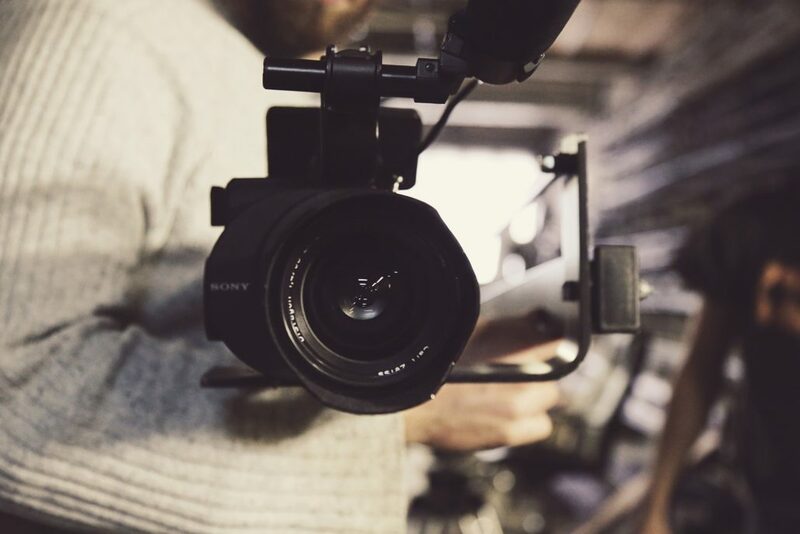 Besides promotional videos, which is probably the first thing that comes to mind when you think about using video for promotion, there are other options you can explore. Product reviews, unboxing, live chats, webinars, and Q&A sessions, are all some ideas how you can use this video format to create content that is primarily addressed to your customers. Rather than directly trying to sell, focus on content that is creative, engaging and helpful to gain trust and credibility. As you are waiting for that first sale to be finalized, start exploring the video format and networks such as YouTube, where you can share your content to gain more reach. Social media world is here to stay, and if you are planning to make it work for your business, you have to be a part of that world. Despite the fact that you might not want to spend an hour or two of your day reading tweets or YouTube comments, chances are, at some point, you will probably have to do so. Social media is a great place to get reviews from the clients, to share the new products, to help customers complete their purchase, to get feedback or to ultimately solve issues that customers might have. All of this means that social media is a place where you get to connect with your customers and to establish a good relationship. This relationship is very useful for building the reputation and creating a reputable brand on the market. When you start your e-commerce business, try to explore the world of social media and how you can benefit from it. Since businesses are all different, with different goals and needs, there is no unified approach. There is no one single roadmap to follow that will surely bring the good results. Instead, social media marketing is a personalized and customized approach with actions that are designed to promote your business through social media and get visitors to your website where you can convert them into customers. There is an easy way to get on Google, even if you are still in the initial phase of building your online presence. 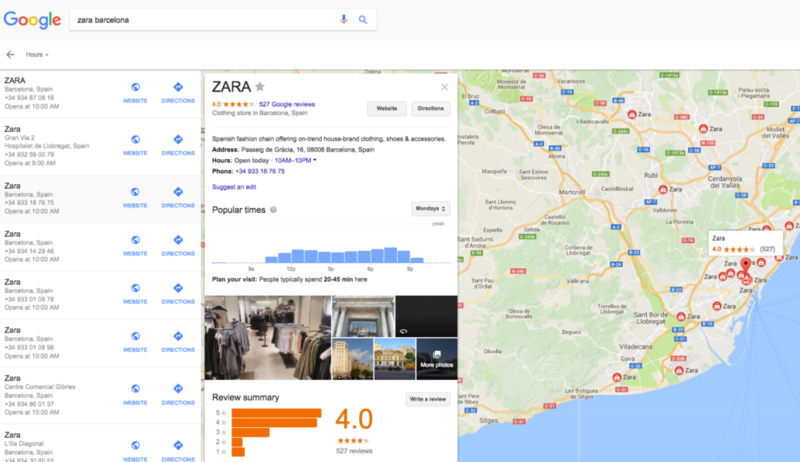 You should use Google My Business tool. This option helps you to get your local business listed on the map, with all the necessary information such as the company name, price range, direction, website, hours, reviews, etc. All of this can help you get your business on Google quickly, which means your business is likely to be shown in local Google searches. While the process of getting in the search results might be more complicated, Google My Business account ensures that your business will be shown as a suggestion when the local area is explored. In case you have an offline store as well, this will help you a lot when getting started with e-commerce. During this initial phase, you should go ahead and recheck your website. Even though you might have done everything right when setting up the site, errors can still slip through, so make sure that everything is just fine with your website. Analyze your site analytics and if you notice any unusual data, such as a high bounce rate or short average session duration. All of these can be indicators that you need to improve your website performance. A website that is not mobile-friendly will hardly have any chance of succeeding nowadays, so use this Google’s mobile-friendly test to check how your site performs on mobile devices. Here is another creative thing you can do while you wait for that first sale to hit.Write a blog post. If you have been exploring the world of online marketing, you probably know that content marketing holds that special place nowadays. It is an amazing way to reach consumers. Unlike advertising and promotional campaigns, content marketing uses that subtle approach where you offer quality and help through content in order to get trust and encourage interest in your brand. Indirectly, you will be promoting your brand as well. When writing a blog post for an e-commerce website, make sure the topic is directly related to the type of products you are selling. Your goal with content marketing is to create content that will attract people who could also be interested in what you are selling. This is why choosing a niche is very important. Create your blog and start sharing content that will be helpful to your target group. This content will also help with on-site SEO. Instead of publishing the post on your blog, try to find blogs or websites from the same niche that would be interested in publishing your post. Of course, you would have the link back to your website. This is great for those visitors who would like to know more about you, and it is good for off-site SEO. The post you can create can be a product of collaboration. The major benefit of working with influencers is the fact that you will be sharing expert advice and you can count on the influencer sharing this post with the followers on social media. It is never too early to start with building a mailing list. 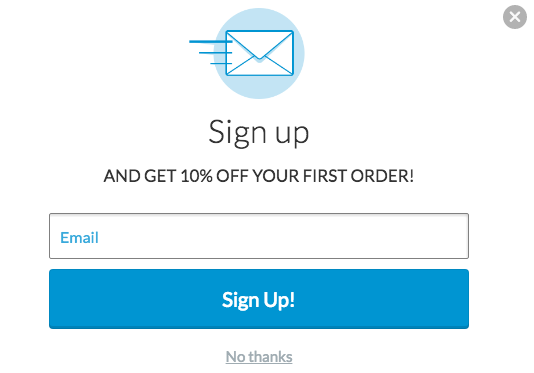 That “Sign up for the newsletter” button should be on your website from the beginning. This is certainly a start, but to really work on building your mailing list, try creating something that you will share exclusively with the subscribers. It can be free content (an ebook, a video course, templates, etc. ), free access to members’ area, exclusive access to limited products, coupons or discounts, etc. All of these will give that special character to the subscription, and they will make people really want to leave their email to gain access to this special benefit. Have in mind that email marketing results are impressive, and your mailing list will become one of the powerful tools in your online marketing strategy. Even if you still do not see any sales, you should still work on creating a mailing list. At one point, you could try to convert those visitors through an email campaign. The primary goal with all of these strategies is to work on spreading the news about your e-commerce, which is essential in the beginning because you have yet to establish your brand and your position on the market. Ideally, you should work on all of these aspects simultaneously, so that you can take advantage of those and really give your business that first kick.